Writing of Expression of Interests (EoIs) for consulting services and commercial contracts. 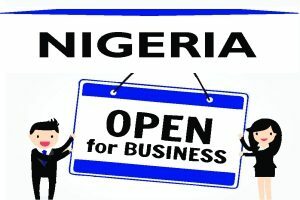 Registration of business with CAC. Creation of partnership deed, or shareholders’ agreement, MoUs and joint venture agreements. Execution of company secretarial services and documentation of company meetings. Filing of company returns with CAC, FIRS, SEC, etc. Execution of corporate searches at CAC. Funds raising through the money market or capital market. Negotiation of a loan or debt restructuring agreements. Professional guidance on compliance issues such as in taxation, employment, insurance, pension, environment protection, etc. Title searches at Lands Registry. Structuring a vehicle for asset protection from creditors and frivolous law claims. Drafting and perfection of title deeds of real estate transactions. Registration and protection of intellectual property, including copyrights, patents, trademark, etc. Application for registration, licence, waiver or permit from NAFDAC, NIPC, NEPC, NOTAP, SON, NCC, Nigerian Customs Service or Nigeria Immigration Service, etc. Application for Tax Identification Number, Tax Clearance Certificates and VAT Identification Number. You will need a Tax Identification Number to open a corporate bank account and for tax compliance. Review and negotiation of commercial agreements. Creation of buy-sell agreements with bespoke terms and conditions. Structuring of dispute settlement terms. Court representation in law claims. The above is not an exhaustive list of legal tasks wherein entrepreneurs, exporters, importers and overseas investors will require us to handle for them. WHY IS GETTING LEGAL HELP SO IMPORTANT? Often, business people get entangled in issues that are too complex, too time-consuming, or fraught with legal risks and liabilities. A business lawyer can provide vital legal guidance and assistance in almost every aspect of your business to enable you to have peace of mind. Getting legal help and guidance can protect your commercial venture and save you a lot of money in the long run. Without legal guidance, you stand vulnerable to attacks from your business partner(s), the government, employees, customers, clients, and anyone else; and this could become highly disruptive, time wasting, costly, energy sapping and a direct threat to your growth and survival in business. 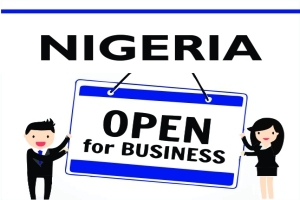 As a business law firm based in Nigeria, we will be glad to assist offshore investors, foreign companies and exporters to navigate all aspects of immigration, corporate, legal, regulatory compliance and due diligence issues. Kindly reach us at +234-803-979-5959 or +234-818-701-9206; or email at lexartifexllp@lexatifexllp.com.